As more and more workers start and end each day on their laptops or mobile devices, healthcare organizations need to adapt accordingly by creating a remote and digital workspace where workers can collaborate beyond email and file sharing programs. Utilizing Intranet software to harness the power of collaboration and information sharing is one way to bring your healthcare organization into the next century. 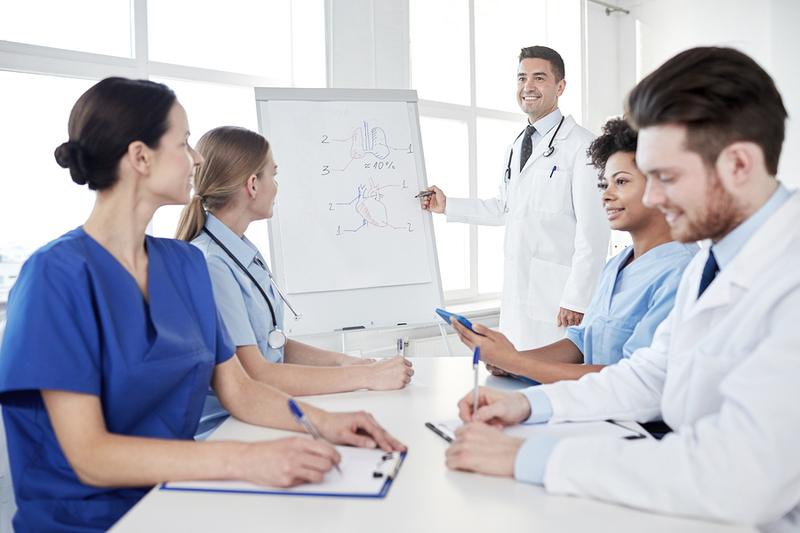 From ideas to announcements, to questions, feedback, document sharing, and insight, you’ll be able to immediately connect with, coach, support and improve the daily functions of your healthcare workforce. The Intranet is a one-stop shop for all your documents, from organization announcements, events, privacy disclosures, to health documents, to scheduling, to contact information, to training manuals, your employees will never again need to search various shared drives and dig through old emails to find what they’re looking for. With tagging, indexing, and hyperlinks – finding something is as easy as your everyday Google Search. Your employees will be able to self-serve themselves this information, freeing up the time from your administrators and human resources staff. One of the immediate benefits of having an Intranet system is you can not only connect your employees with other employees, but you can do so virtually. Whether they’re working offsite, at a conference, or at a meeting across town, your employees will automatically have the flexibility to work when and where they are. This includes having the ability to locate and review important documents when they’re away from their desk. The increasing amount of smart devices available and used in healthcare continues to grow—it is imperative to give your staff on the go access. With access to online videos, documentation, communication tools in one centralized location, HR staff will have the tools they need to bring new employees up-to-speed faster. As the Intranet is highly customizable, your HR staff can change the on-boarding process and customize it to each individual new hire. For example, new hires can learn at their own pace with online video tutorials. In addition: as onboarding costs a lot in money and time with hours spent filling out forms and walking through various trainings – you’ll immediately free up that time and allow your HR staff to move on to other pressing tasks. Additionally, you can use features like Notice Acceptance to confirm receipt of readership on employee manuals or vital healthcare documentation. Companies that utilize an Intranet platform often times find that it quickly becomes the central hub for collaboration: from sharing best practices to day-t0-day tasks, your employees can quickly share insight gained from an experience, allowing others to learn from that experience. Intranet platforms also greatly impact the way people and healthcare organizations operate: employees are in-touch daily and can brainstorm ideas with their peers through online forums, chat groups, and departmental pages so they may solicit feedback, find answers to questions from your organizational experts, and take actions to solve problems faster. In addition, previous communication barriers are removed, management to staff barriers are gone and project management and collaboration are enhanced, knowledge sharing across various departments increases, and the speed with which information flows is immeasurable. How many people at your healthcare organization could recite your mission, vision, and values? An Intranet allows for the effective, and continuous communication of these important concepts and guidelines and makes it easy to tie them to your business goals to make that connection your employees need to easily identify, understand and share. By creating a connected culture, you will ensure the most optimal workforce performance and ultimately be able to perform and administer the highest level of patient care.